The Dow Jones Industrial Average today slipped more than 40 points as the schizophrenic messages from the Federal Reserve have traders now believing that an interest rate hike is certainly possible in the coming months. Despite messages from some members of the Fed that the economic reality is not matching expectations, some members of the central bank continue to suggest that a rate hike is on the table next month. On Thursday, San Francisco Federal Reserve Bank President John Williams showed his support for a rate hike during a speech. According to the CME FedWatch, the probability of an interest rate hike sits at 18% for September. The odds of a rate hike in December sit at 43%. The FOMC meeting minutes – released on Wednesday – suggested an interest rate increase is possible as early as September. But with voting members decidedly divided, when will the next rate hike actually happen? We dive deeper into that topic, right here. Here's a look at today's most important market events and stocks, plus a preview of tomorrow's economic calendar. 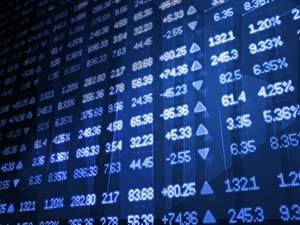 The Dow dropped 45 points, weighed down by energy stocks and utilities stocks. The energy sector was sliding after Brent crude oil hit an eight-week high. Shares of Chevron Corp. (NYSE: CVX) fell more than 1.1%, while shares of Exxon Mobil Corp. (NYSE: XOM) were off 1% on the day. Crude oil prices were sliding from eight-week highs as investors continue to speculate on the possibility of a production freeze by global producers. Next month, members of OPEC will meet in Algeria to discuss the possibility of efforts to reduce oil output in order to boost prices. Despite ongoing optimism for a deal, Money Morning Global Energy Strategist Dr. Kent Moors argues that a deal is not imminent. The West Texas Intermediate (WTI) crude oil price today was up roughly 0.1%, while the Brent crude oil price slipped 0.2%. Money Morning is offering a stock warning for shareholders of shares of Twilio Inc. (NYSE: TWLO). The Twilio stock price is up nearly 300% over the last two months and could see an unexpected drop after Dec. 20, 2016. And we found one important reason why it could fall after that date. Olympic men's swimming has ended. And unless Michael Phelps changes his mind again, Aug. 13 was the last time you'll see him compete. While Phelps was a big winner at his fifth and final Olympics, he also helped unleash big gains for three stocks. Tom Gentile offers his insight on the Olympics' three biggest winners and what investors should do next. Shares of Harley-Davidson Inc. (NYSE: HOG) were off 0.5% after the motorcycle giant announced that it has settled with U.S. regulators over allegations that it sold devices that increased air pollution. The company denied any wrongdoing and has agreed to pay $12 million to settle the case over devices known as "super tuners." In earnings news, shares of Deere & Co. (NYSE: DE) rallied more than 10% after the farming equipment manufacturer crushed quarterly earnings expectations this morning. Meanwhile, shares of Foot Locker Inc. (NYSE: FL) rallied more than 10.5% after the company beat top and bottom line earnings expectations and announced that same-store sales topped Wall Street forecasts. Shares of Twitter Inc. (NYSE: TWTR) remain under pressure after the company received a downgrade from research firm Evercore ISIS. The company cut the TWTR stock price target from $18 to $17 per share. The represents a 10% dip from current levels. With Twitter generating headlines about its new application on Apple TV to stream NFL games and other shows, some are wondering if the recent stock downturn is creating a buying opportunity. At Money Morning we have been bearish on Twitter stock all year and still recommend avoiding the stock even at these low prices. Here's why.